Jin had been posting photos of the polluted river in the Chinese city of Ruian, Zhejiang, for a few days, but had apparently grown frustrated at the lack of response. So, he made the challenge to Ruian’s environmental protection bureau chief, Bao Zhenmin. After the post, Jin explained that Chinanews.com that the river was where villagers used to wash vegetables and clothes when he was a child. 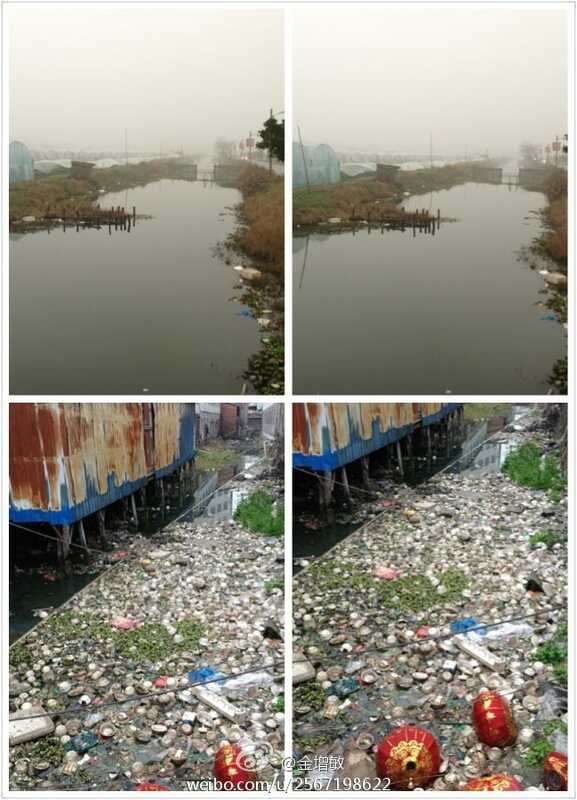 He said that rubber overshoe factories one the river for dumping industrial waste into its waters and the environmental bureau turning a blind eye. Water pollution has become a serious topic recently in China. Liz Carter of Tea Leaf Nation reports that it managed to become the number one trending topic on Weibo this month, with many comments deleted by censors. Jin’s offer has since been picked up both nationally and internationally, as the world wonders — will Bao actually do it? Perhaps not—South China Morning Post reports that Bao has denied her agency is responsible for the pollution. However the trend appears to be spreading — now a similar offer was made to another official in the same region.